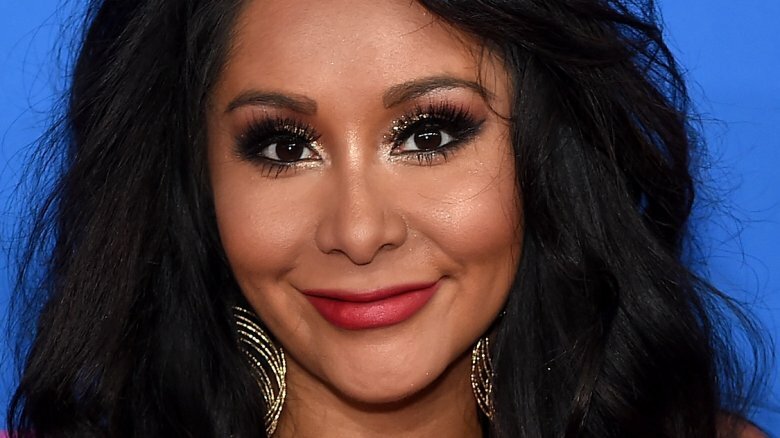 Listen up, Jersey Shore fans: Nicole "Snooki" Polizzi is pregnant! On Thursday, Nov. 22, 2018, Polizzi posted to Instagram, sharing a sweet black-and-white photo to announce some major news on Thanksgiving day. In the picture, Polizzi's young children, 6-year-old son Lorenzo and 4-year-old daughter Giovanna, hold a framed sonogram. In the post's caption, Polizzi, 31, wrote, "What I'm thankful for this Thanksgiving," adding the hashtag, "#family." 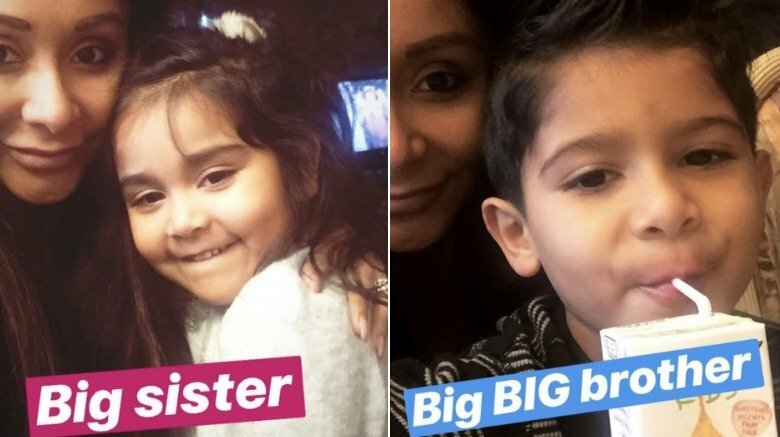 In posts on her Instagram Stories, Polizzi shared a photo of herself with Giovanna, writing, "Big sister," and a photo of herself with Lorenzo, calling him a "big BIG brother." After she posted the photo sharing the sonogram of her future little one, Polizzi's Jersey Shore co-stars were quick to share their well wishes in the comments section. Polizzi's BFF Jenni "JWoww" Farley wrote, in all capital letters, "I am so freaking excited." Mike "The Situation" Sorrentino, who was recently sentenced to time behind bars for tax evasion, commented, "Congratulations Sis," and told Snooki, "Love yah." Deena Nicole Cortese, who is pregnant with her first child with husband Chris Buckner, left a comment saying that their future children are "going to be best friends." As E! News noted, Polizzi had wondered if she was pregnant in the season finale of MTV's Jersey Shore: Family Vacation, as she had thrown up after a day of drinking. "I never throw up, even when I was little. I'm like, 'OK, me and Jionni are trying to have a baby; maybe I'm pregnant,'" she said on the show. "I want to take a pregnancy test. I just need to know because if I'm pregnant, I'm not going to keep drinking. If I'm not, then f**k it. I'm going to be upset and let's go take shots at the club." After buying pregnancy tests with JWoww, Polizzi learned that she wasn't pregnant. "It's no. I'm not pregnant. I'm so annoyed," she said. "I'm just old and I can't f**king hang anymore." Now Polizzi definitely can't hang (for at least nine months), as she's expecting her third baby. Congratulations to Polizzi and her husband, Jionni LaValle!